Whether it is back to school or mid-year, parents are always looking for new and creative school lunch ideas. Maybe you are in a rut or just looking for some creative healthy options that your kids will actually eat and not toss in the garbage! 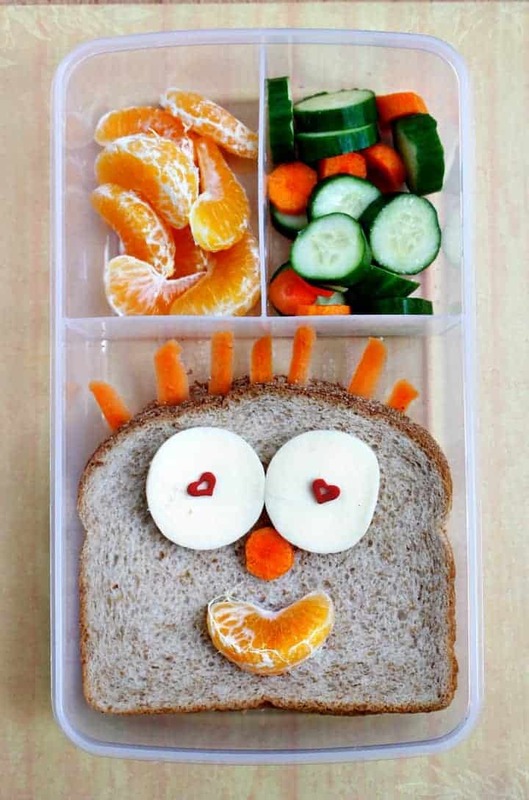 These easy and creative school lunches are sure to be a win-win! Be sure to capture your back to school photos! We love some of these ideas for some fun first day of school photo ideas! It doesn’t matter if you pack them or your kids pack their own lunchboxes – it is hard to come up with new ideas that your kids will actually eat. I am excited to partner with Wilton to share some new and creative school lunch ideas for kids. While Wilton is sponsoring this post, all ideas are my own. Find more back to school ideas from Wilton here. Want our Printable Planner and Checklist? It’s often hard to pack lunches that meet all of the needs. 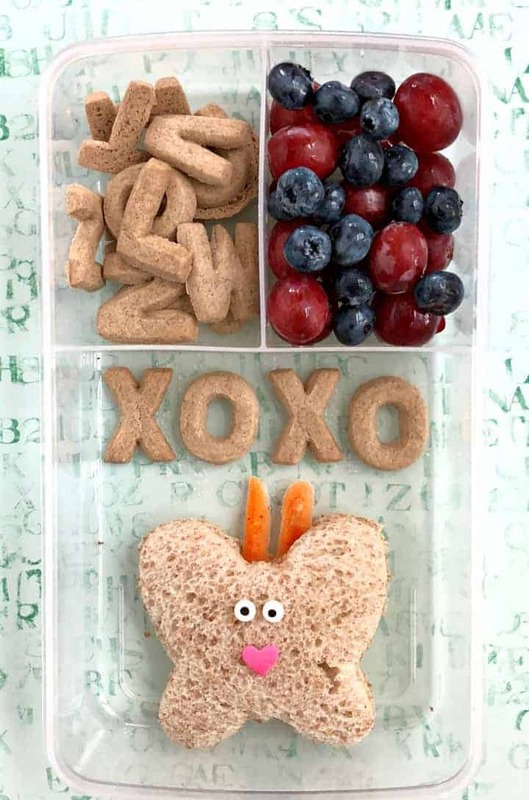 First, you want to pack healthy lunches that will encourage your child to eat healthily and teach them that the food they eat is their fuel for the day. You don’t want meals packed with sugar and ingredients that we can’t even pronounce. Second, you want something that is easy to pull together. Packing lunches are the bane of my existence. You would think after all of these years, I would get used to it, but I seriously hate making them. You want something that’s easy to pull together at “oh dark thirty” in the morning (which happens to me because I usually forget to make them the night before). But most importantly, you want something that your kids will actually eat. You don’t want them to trade it, you don’t want to them to buy lunch instead and most of all, you don’t want them to waste it and throw it away! 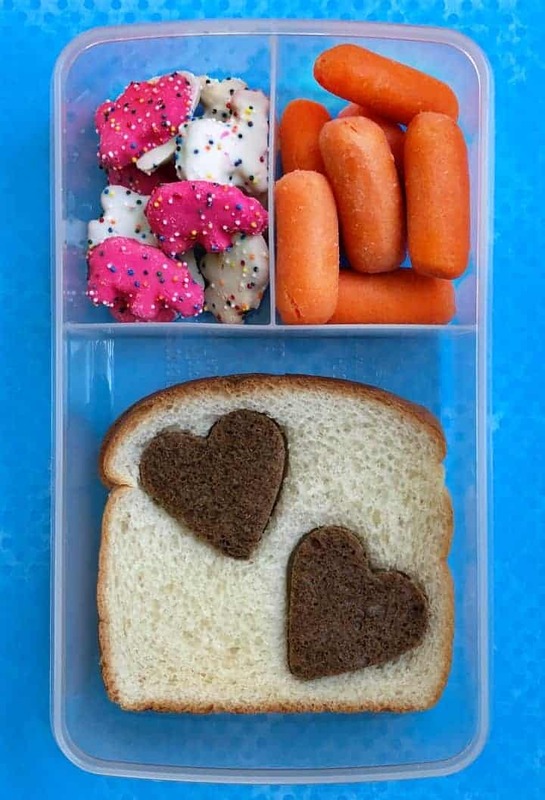 You want to make lunches that your kids love. With these creative and tasty ideas, they will be the envy of the lunchroom! I have come up with some lunch ideas that check all of these boxes. They are healthy, easy and your kids will love them because they are FUN! 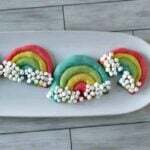 Yes, they do include some sugar and some food coloring and sometimes even sprinkles. But the tradeoff to eating their healthy foods comes as a little treat. After all…everything in my house is always better with sprinkles on top! One of the best lessons I learned from one of my best friends had to do with yogurt. That’s right…yogurt. I was giving my kids the super sweet and sugary yogurts with all of the stuff that takes away from the yogurt being healthy. She suggested getting a healthier yogurt but adding a few sprinkles on top. I told her no way would my kids eat that yogurt…they only liked the yogurt with the characters on the package. Well….prove me wrong! A little strawberry Greek yogurt with just a couple of colorful sprinkles and my kids were asking for seconds! 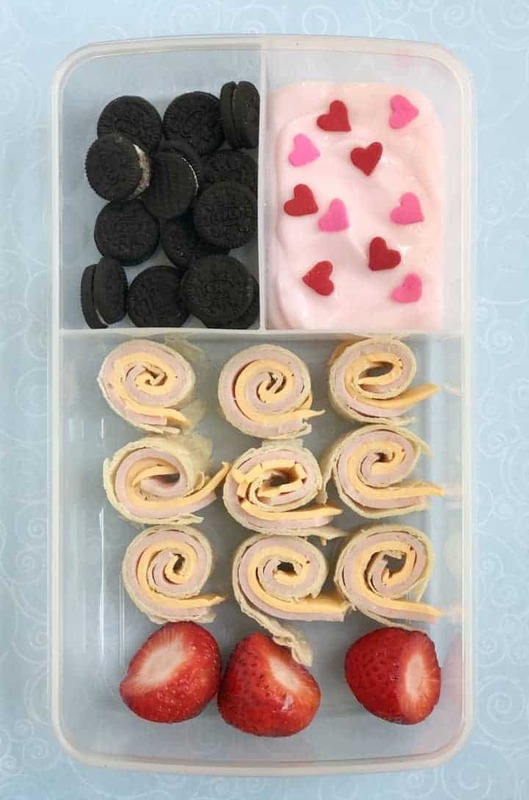 Okay back to our creative school lunch ideas! 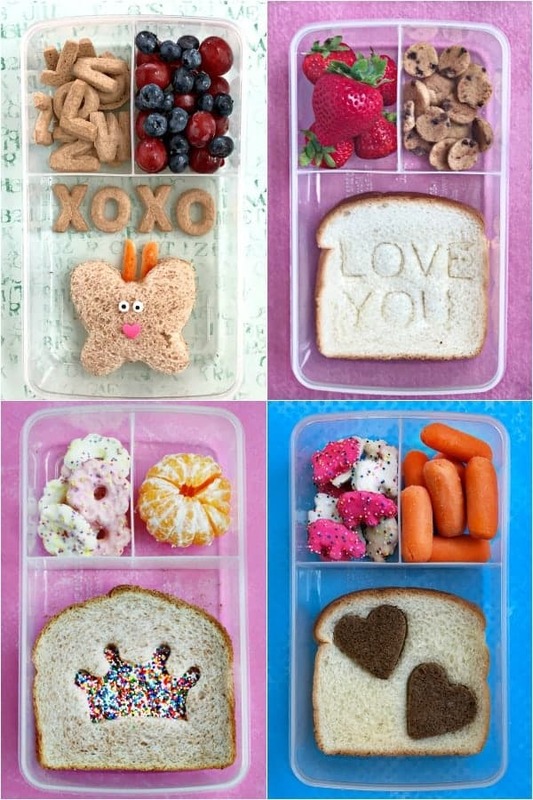 There are a lot of ways to pack a lunch so that it will be fun! We love to go with the bento box format. Everything stays in its own little compartment. Think of it as our own DIY Lunchables that we get to pick what goes in them! Check out some of our favorite creative lunch ideas below – they can all be paired with a fruit, veggie, healthy snack or dessert! Use two different types of bread – we used a white bread and a dark rye bread. Using a small cookie cutter of your choice (we used Wilton’s Heart Shaped Cookie Cutter). Cut out your shapes and replace with the opposite type of bread. Fill the sandwich with your choice of filling (deli, peanut butter, cream cheese, etc.). Pair with choice of veggie and snack (see our school lunch checklist and planner below to help choose). 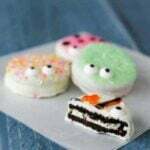 The Fairy Bread lunch is very easy to make. Just use your favorite larger sized cookie cutter and cut out the shape in one piece of the bread. We used Wilton’s Princess Cookie Cutter Set to fit the fairy princess theme. The piece of bread without the cutout, should be spread with your favorite topping (we used cream cheese, but you could use butter, almond butter, etc.) Place the cut out piece of bread on top and sprinkle rainbow nonpareils in the cutout space (or your favorite sprinkles). This lunch idea can be whatever shape you choose. We used a large butterfly cookie cutter, but you could go with really any shape. 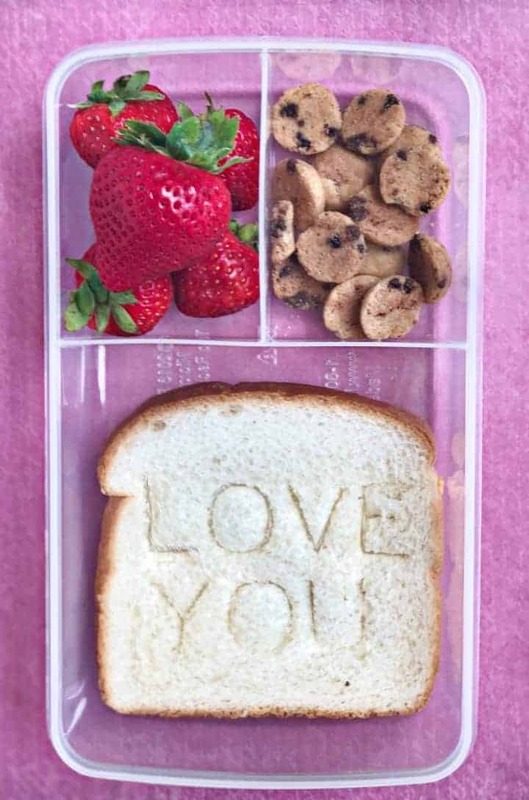 Just make your sandwich, cut out the shape and add some cute edible decorations. We used peeled carrots for our butterfly and candy eyes and a candy heart for the mouth! We love the letter cookies from Trader Joe’s too! Then we used peeled carrots for the hair and a sliced carrot for the nose. Finally, we peeled a mandarin orange for the mouth! I don’t want to be biased, but I think this is my favorite lunch idea. We used the Wilton Number and Letter Press, which is intended for printing on cakes and treats, but it works AMAZING for writing notes on bread! See our video below – it is super easy! You can write a different message every day! How to use the Number and Letter Press to make Love Letter Sandwiches! A great idea that we love to do in our house is have our kids be part of the solution! In an ideal world, they would be packing their own lunches. If your kids are too young to do that, get them involved in the process. 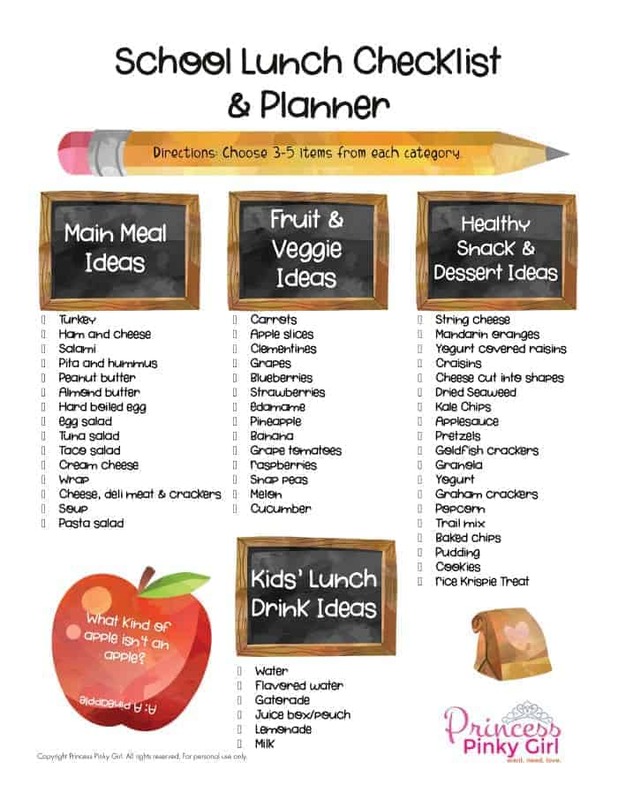 Each week print out our School Lunch Meal Planner Checklist. Ask them to choose 3-5 items per category for their lunches. Feel free to adapt the list to your own preferences; these are just a few suggestions of some of the items we like to include in lunch boxes at our house. Click here to PRINT ? Oh my goodness, all of these ideas are so cute. And what a great list. I am going to have to print it and put it on my fridge so my kids don’t ever run out of ideas. awwwww thanks so much! So glad you like them! 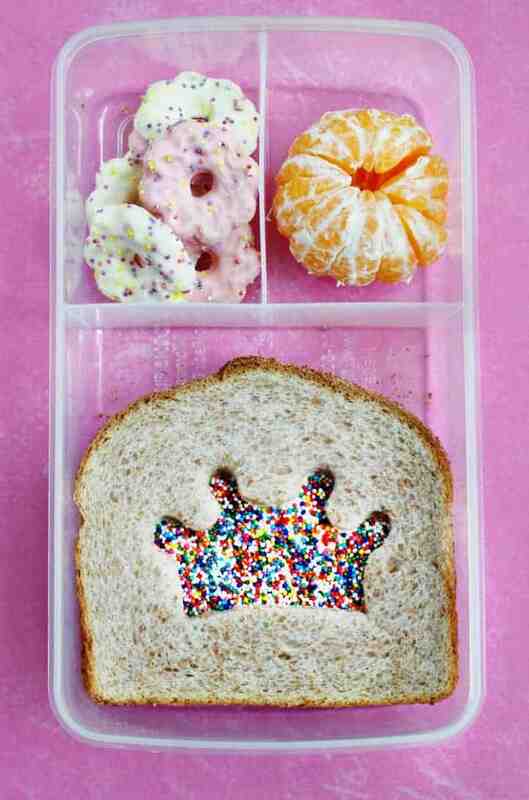 I’m all about cute school lunches! Love these ideas! Thanks for all the great school lunch ideas! They are all so much fun. WOW! these are amazing school lunches. thanks for the ideas – so creative, cute and fun! Thanks so much! They were fun to make! My kids love them! So many great ideas! I love the crown sandwich!! Thanks so much! They are actually fun to make!! School lunches are fascinating, and creative, the decorating and making dishes as attractive as this will make the meal more delicious. Love this! My daughter said last night could we please talk about school lunches! Thank you for such clever ideas! These are such cute ideas! Wish I had known about these when my kids were small! Thanks so much! There are always grand children to look forward to! 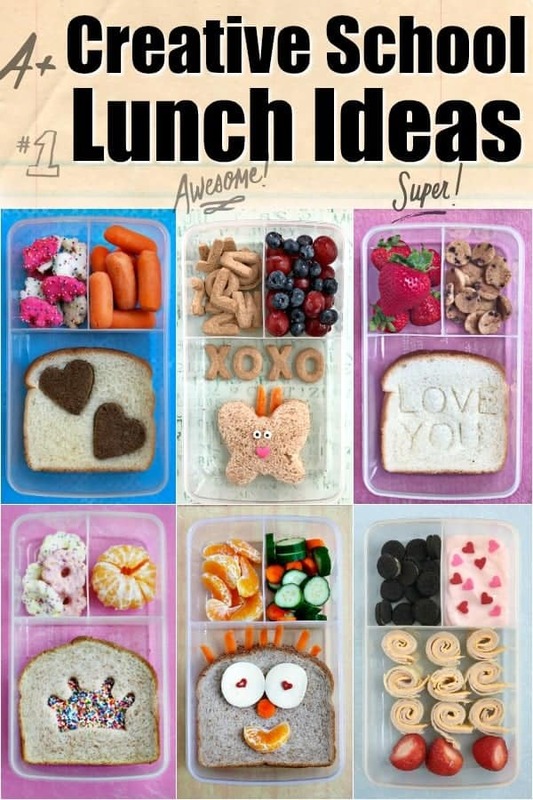 These are seriously the cutest lunch ideas. My kids would be over the top for these ideas! Really you have written easy tips to get ready. I hope our kids will love them because they are healthy. Hanukkah Decorations – Twas the Night Before Hanukkah! Halloween Decorations That I Can Even Make!